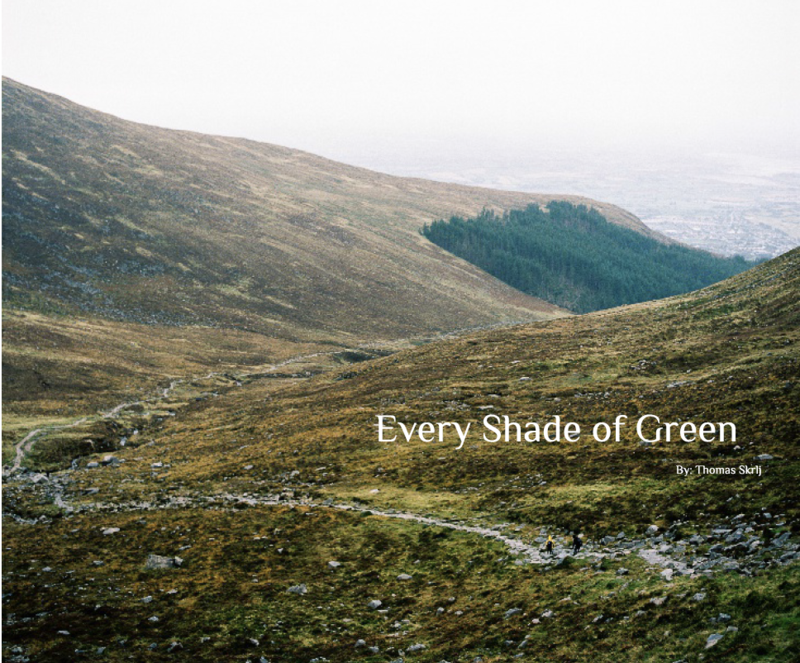 Every Shade of Green is a series of photographs documenting the travels of three friends around Ireland. From Dublin to Killarney and Cork to Belfast, the three friends saw the many different sides of the country, Irish culture and many shades of green. The 25cm x 20cm book contains 96 pages with a combination of colour and black and white images. Every copy will come with a 7x7 hand printed photo on RC paper. Due to this book being self published and a small run, costs can quickly rise. That said, this book is not being sold for a large margin and the goal is to instead distribute and share the work for people to enjoy. You can buy your own copy below within the following dates (3/17/19 - 3/31/19). After this period, all sales of the book will stop and the books will then be ordered in bulk. Price includes shipping to whatever corner of the world you may live in. Special thanks to Cody and Jakob for help with the image selection and layout advice. All images were taken by Thomas Skrlj on medium format film using a Hasselblad.